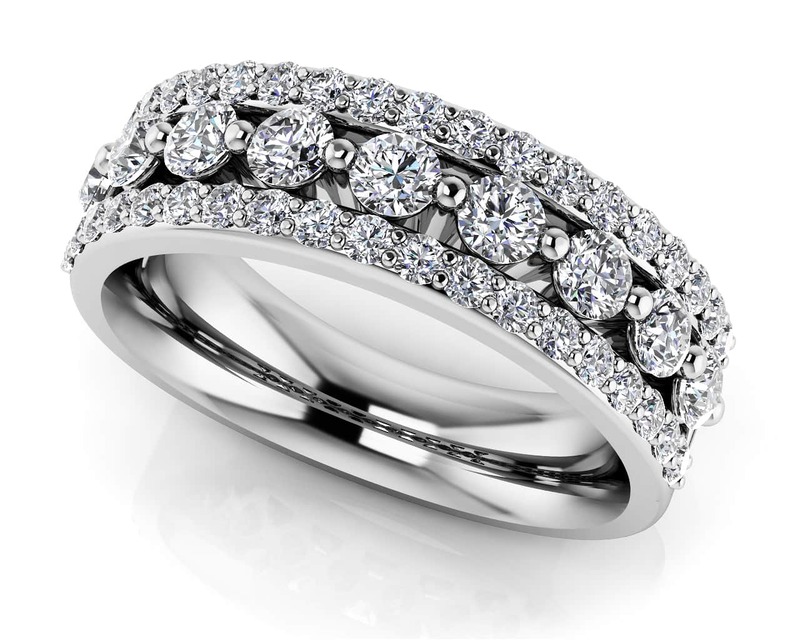 Bold and elegant, this eye-catching anniversary ring dazzles with sparkling beauty. 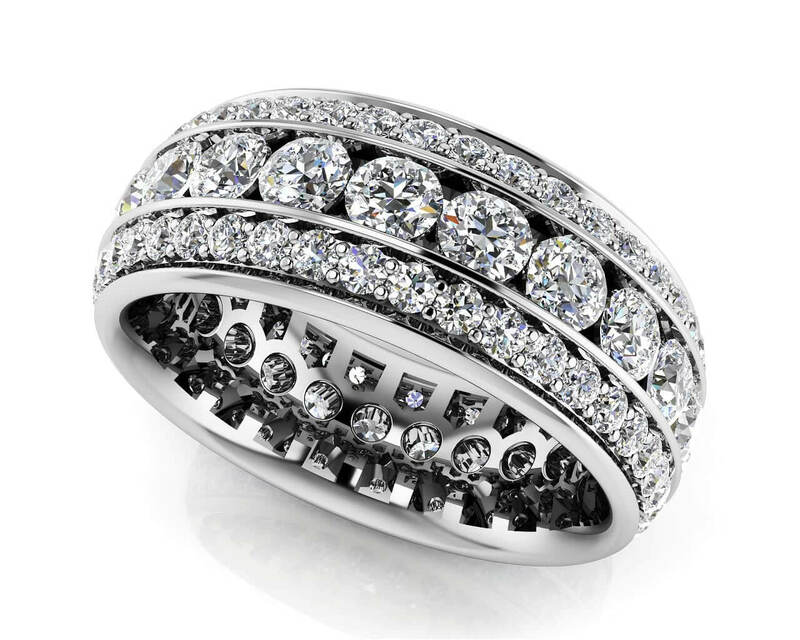 Showcasing a center row of brilliant round diamonds framed on either side by an additional row of smaller round diamonds, this ring will capture the moment and your heart! 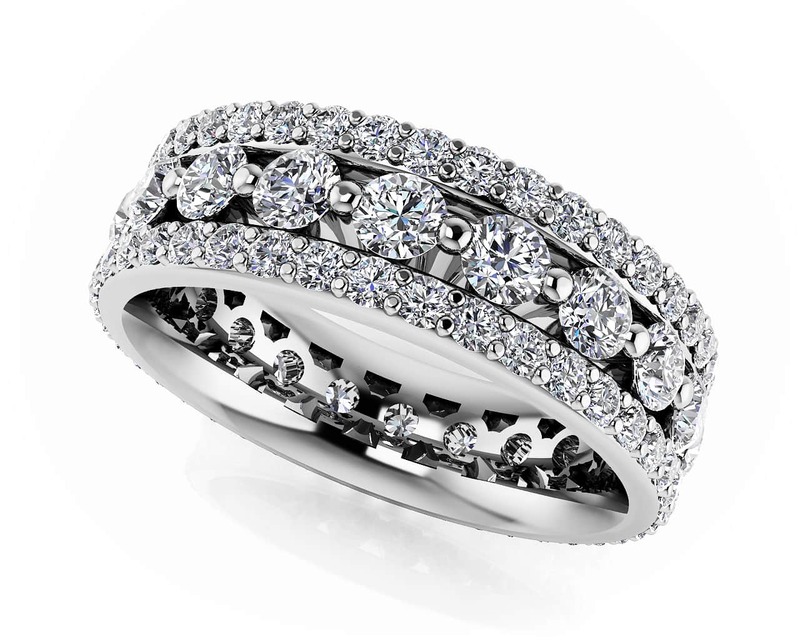 Available in your choice of 14kt or 18 kt yellow or white gold or platinum. 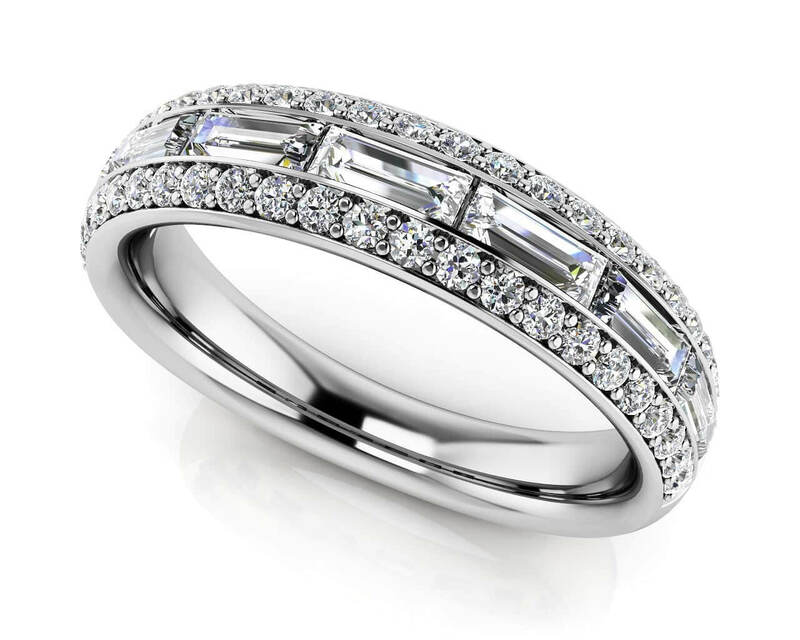 Stone Carat Weight: 38X.013 ct., 9X.060 ct.